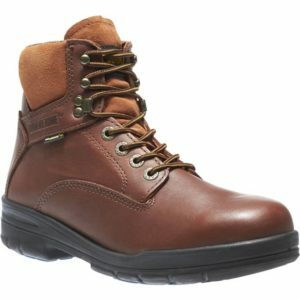 Avenger 7225 – These Avenger boots are made with steel safety toe caps to provide the ultimate protection with ergonomic benefits. These steel toe boots are capable of withstanding 2,500 lbs. compression and 75 lbs. impact to help prevent injuries. 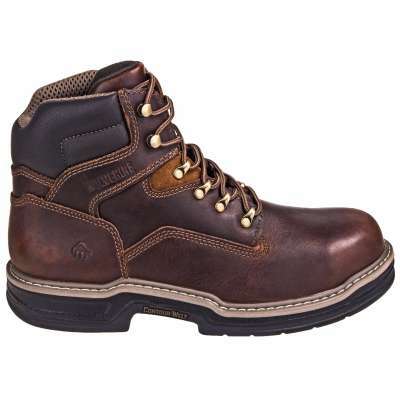 The steel toe caps used in these men’s work boots meet or exceed ASTM F2413-05 I/75 C/75 impact and compression specifications. 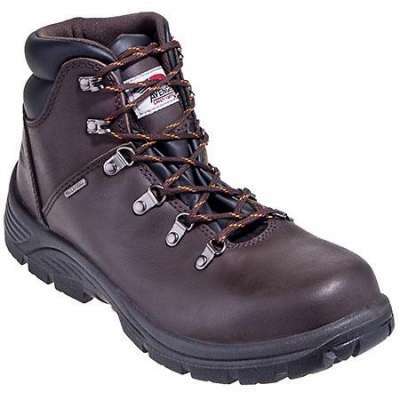 Another safety feature incorporated into the design of these waterproof boots includes their electrical hazard certification. 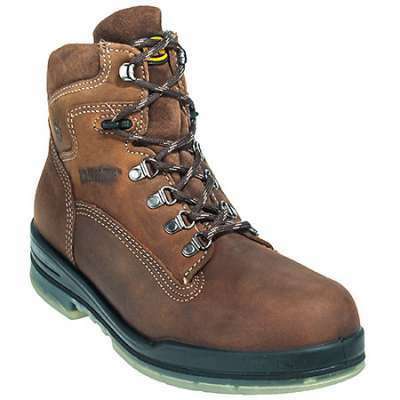 Additionally, these steel toe boots meet ASTM F2413-05 Section 5.5 requirements for electrical hazard standards. 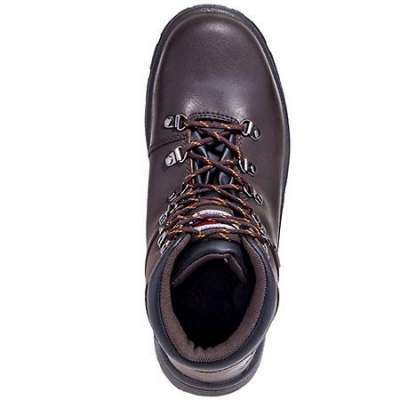 These waterproof boots feature a waterproof bladder construction that surrounds your feet with water-resistance from the inside out. 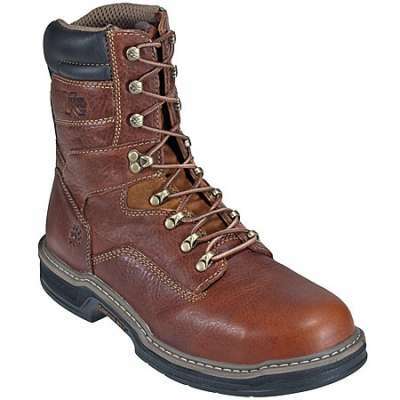 The rugged, durable, brown full-grain leather uppers are and water-resistant. The dual density polyurethane outsoles are both slip- and oil-resistant. 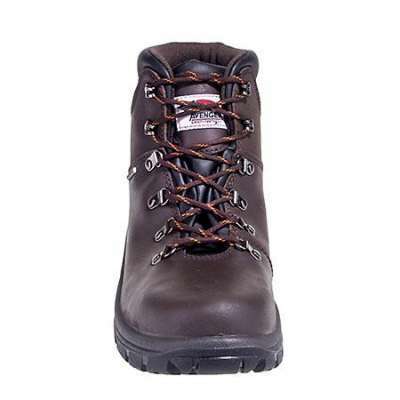 When inside of these slip-resistant boots you will find your feet resting upon comfortable dual density insoles. The insoles on these Avenger boots are removable, providing the ability for easy maintenance inside of the work boots. Plus, removable insoles allow you the ability to easily swap them out with a pair of insoles that fits your needs most accurately.